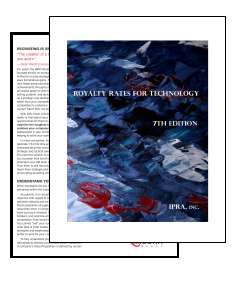 Royalty rates are at the heart of this book, providing a comprehensive review of surveys, data analysis, rules of thumb, profit differential methods and discounted cash flow analysis for determining an appropriate royalty rate for technology. This book also provides guidance about the impact associated with exclusivity, minimum royalty payments, upfront license fees, naked patents, and royalty rates for trade secrets. 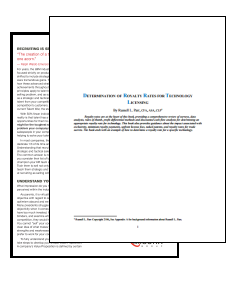 The book ends with an example of how to determine a royalty rate for a specific technology. The methods in this book are not just for licensing negotiations. They can also be used for valuing technology and establishing patent infringement damages.